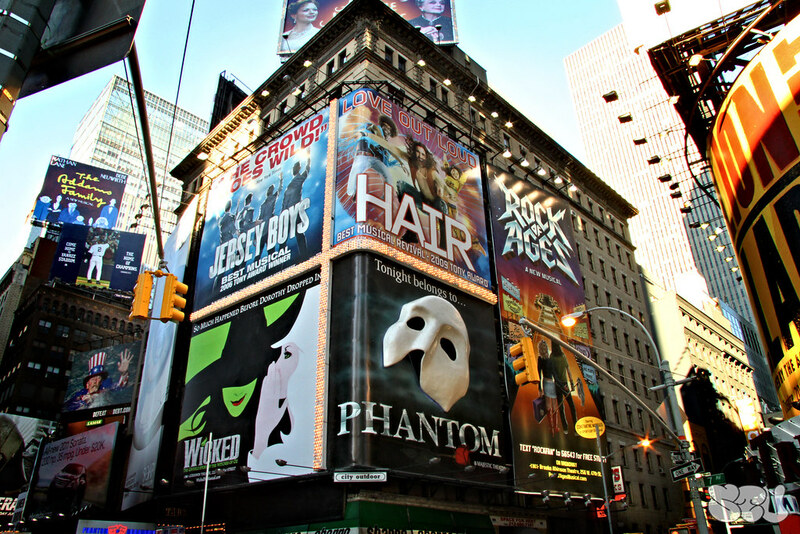 When I first saw Times Square, I was flabbergasted at the sheer supremacy it exudes. It is seriously something out of this world. 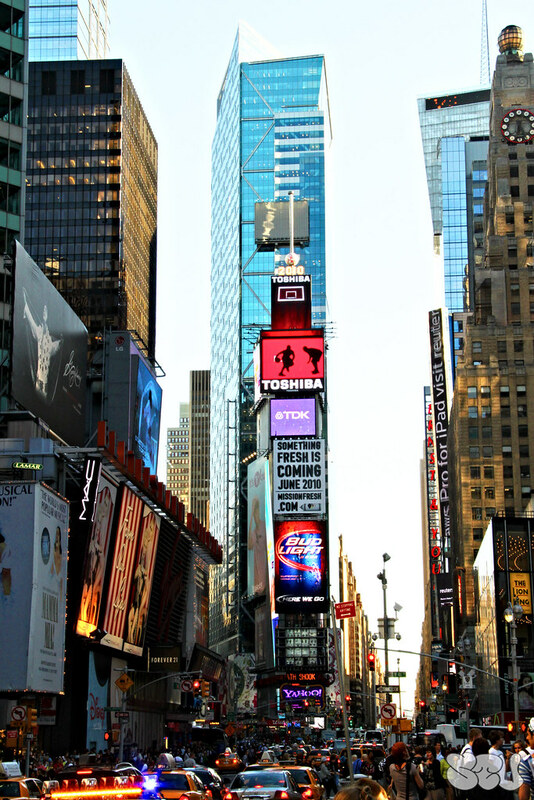 To me, Times Square represents capitalism to it's most extreme limit. It's evident in all the billboards, big screen televisions running ads and the scrolling stock market ticker. 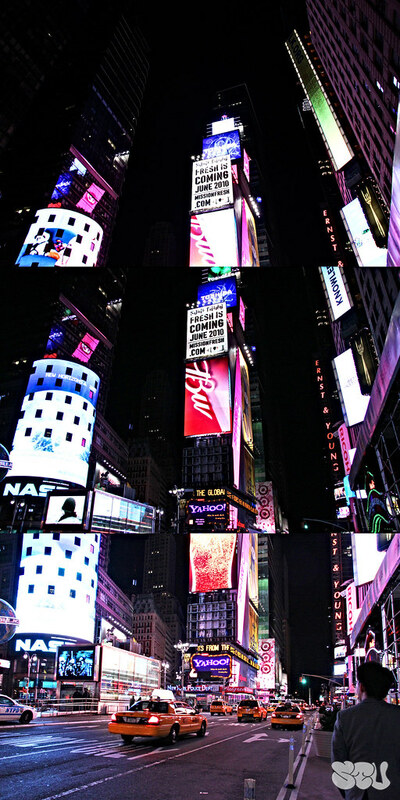 Times Square is the worlds largest spam email. The worlds largest pop-up ad. The worlds largest alter to free-market economies. Surprisingly, Times Square was not my favorite place to be. The stores are generic, the resturaunts were crowded and the atmosphere is like a circus. I'm happy we decided to stay in SOHO and Union Square rather then here. Just days prior to these shots being taken, a terrorist attempt at demolishing Times Square was foiled by a humble t-shirt vendor. It's no wonder why Times Square would be a target, but it's kind of ironic that a t-shirt vendor saved the Times and not a police officer or Spiderman. The place is insane and has to be seen to believed. 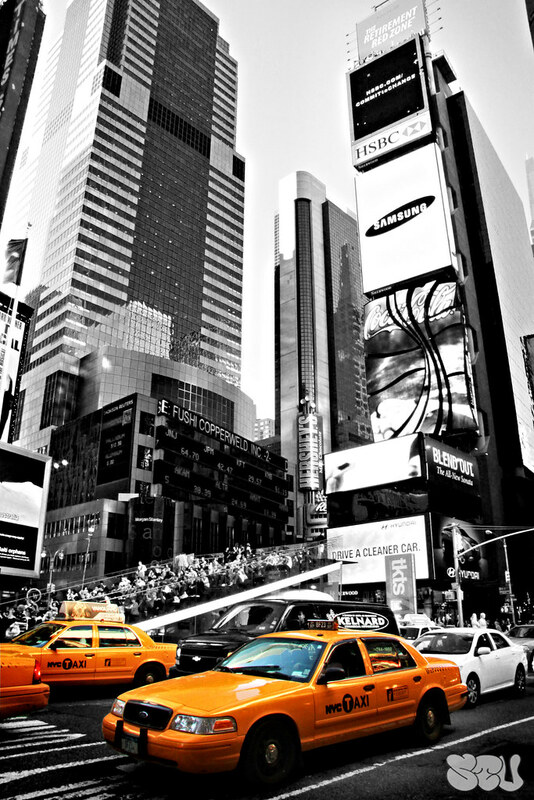 These photos were chosen because they present Times Square in the grand manner for which I perceived during my visit. Yes, I did another selective colour but I couldn't help it! So please, enjoy.